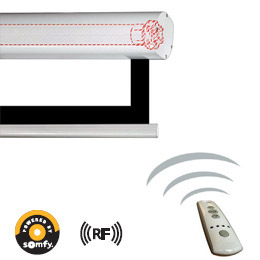 Together with Somfy remote control, used to control motorized projection screen. 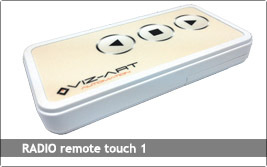 Somfy RF 1 and RF 5 remote control compatible. 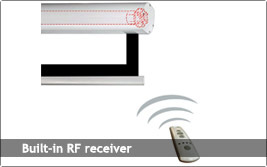 Operating range of the built-in RF receiver 30 meters from remote control.